Flowers are appropriate not only for happy occasions but also for more sullen ones. That’s because they can bring a good mood to people at least for a while no matter how unwell they feel at the moment. Bright colours are proven to have the ability to boost somebody’s spirits. Maybe that’s why in the summer when people are feeling pleased by the beautiful weather, they tend to wear colourful clothes to express that they are in high spirits. And have you noticed that in the winter people wear more dark tones such as black, gray and brown? It must be because of the gloomy weather and the way it makes them feel. 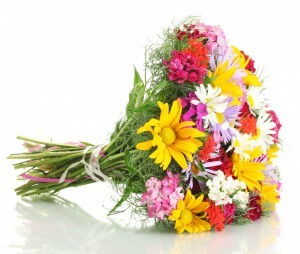 Get Well Soon FlowersBut let’s not deviate too much from the main theme here, which is Get Well Soon Flowers. Flower Shops can provide them for you when someone you know, whether a friend, loved one or family member, is feeling a little under the weather. Sending flowers is a great way to brighten up their day just a bit. Your concern will certainly make them feel remembered and loved when they’re not in their best shape. The more wishes they receive with the message to get well, the more appreciated they’ll feel knowing that somebody misses them and cares. In situations when you are sick, you usually stay at home and have lots of time to think about life in general. That’s when some dark thoughts about the future can appear because you’re feeling ill and not completely yourself. Flowers aren’t the ultimate cure of every disease but they can surely help. At least the people you send them to will know that you think about them. It’s better than nothing. When a friend of yours has a cold, for example, chicken soup is the first thing people think of. But if you dare think out of the box, you can send some of our wonderfully arranged flower bouquets with a card of warm wishes attached to them. A funny balloon with a cheerful message imprinted on it can add a little uniqueness to all that as well. This might even contribute to the person’s quicker recovery, who knows? Pay a visit to your sick Get Well Soon Bouquetsmother with a potted plant ordered from us to bring the smile back on her face even if it’s only for a little while. A sickness is capable of darkening the way you perceive the surrounding world and make you negative about everything. This can be prevented by the realisation that you are valued and precious to someone. A way to show this to someone is by ordering a flower delivery to their home or to their hospital room, if they are seriously ill, to make them feel better with Get Well Soon Flowers. All of us have days when we’re feeling blue for some reason; it’s not necessary from being sick. If only we were able to receive flowers each time we feel that way, it would be wonderful. This would be so sweet that you might get used to it quite easily. And each time flowers will be able to give you the strength to rise up and stand on your feet again, figuratively speaking. 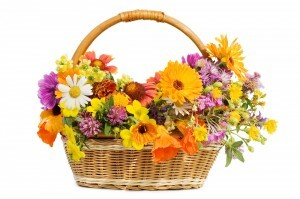 The flower arrangements of Flower Shops could definitely do that without any doubt. Sending Get Well Soon Flowers shouldn’t just be a gesture done out of politeness because that’s what you’re supposed to do in such situations. Do it because you want to and because you are really anxious about the sick person you intend to cheer up with one of our flower bouquets you’ve chosen for the case. For starters, here’s our phone number: ‎020 3900 2440.